Any specific gift guides you want me to create? What is the #1 thing on YOUR list? For me, it is the Ninja Ultima Blender! It depends. My old mat is shredding and falling apart. I use it everyday though. But this mat in my list is actually very reasonable. The big name brands can be up to $90. What a wonderful selection of useful, well-designed gifts for the yogi in our lives! 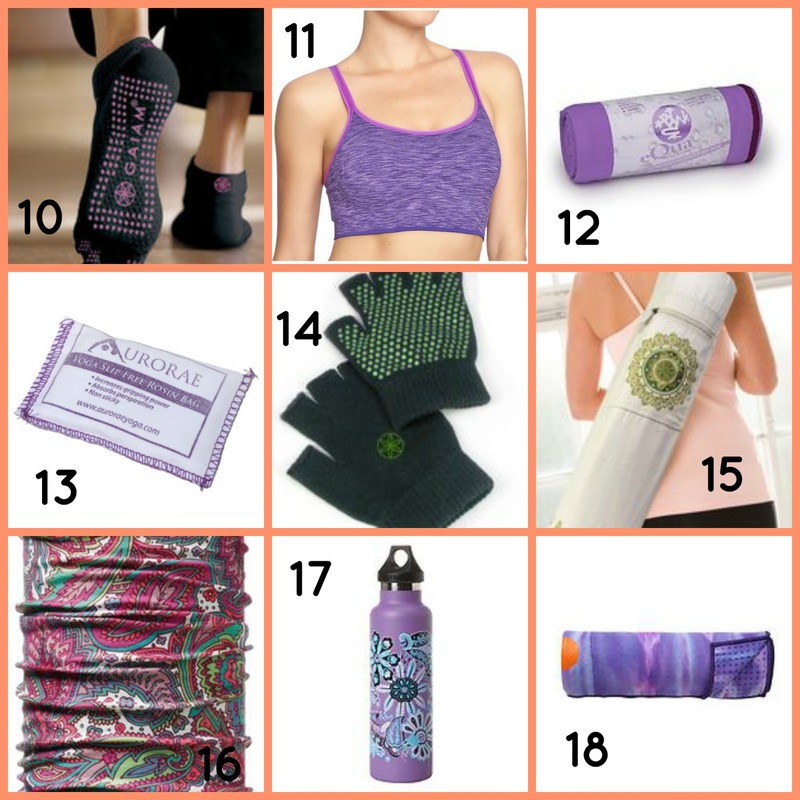 I especially love the non-slip yoga socks and the cool yoga mat bag. This year my #1 wish is for a really good water filter with an alkaline filter included. Thank you so much for sharing this valuable post with us on the Healthy, Happy, Green and Natural Party Hop! We sincerely appreciate it! I love the no slip idea! Even with my mat, my hands and feet tend to slip so they should be extra enforcement! These gifts are really cool,specially for those who are are really into yoga. I asked for gift cards to some awesome stores so I can pick out food photography props because I have absolutely nothing! I need to style up my photos! WOHOO great list!!! Let’s see number one thing on my list…can I say a trip to Australia?! I live in Australia so I can assure you it’s amazing here – and well worth the trip! !